The first trailer for Avengers 4 is coming... soon. There's no exact word yet on just when the teaser for the most anticipated movie of 2019 will arrive, but all signs point to it dropping, well, last week, and then Wednesday gone, and now Friday coming, so who really knows? By this time last year the Infinity War trailer was fully disdected, by Marvel are being even more secretive this time around. It's because of Infinity War, of course, that this movie is so anticipated, even by Marvel's usual well-hyped standards. The two films may no longer be official Part 1 and Part 2, but they're still intrinsically linked, and Avengers 4 needs to pick up the pieces of that movie, blow off the dust leftover from half the universe disappearing, and somehow make everything right again. Disney hardly even need to market the movie at all, and it'll still make over a $1bn. But with a strong marketing campaign, like Infinity War had, it could match that first movie's $2bn+ haul, and that all starts next week with the first trailer for a movie that doesn't even have a proper title yet. 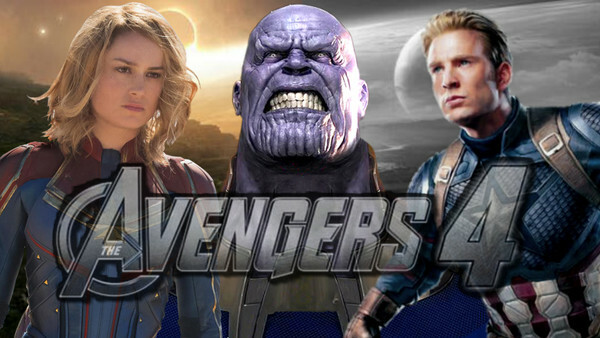 There have been countless rumours, the Russo brothers have been taking great delight in teasing us all, but at last, it'll be time to see for ourselves just what Avengers 4 has in store.